The south face of Harewood House overlooks the lake. 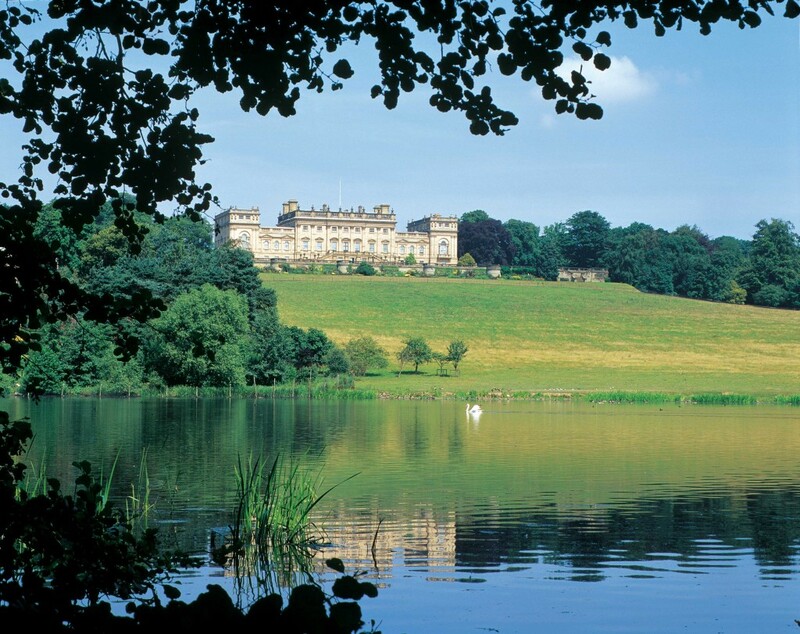 Created by Lancelot ‘Capability’ Brown in the 1770s, the lake at Harewood covers an area of thirty-two acres and the woodlands on either side contain a wide variety of trees, including oaks, chestnuts, beeches and hornbeams. 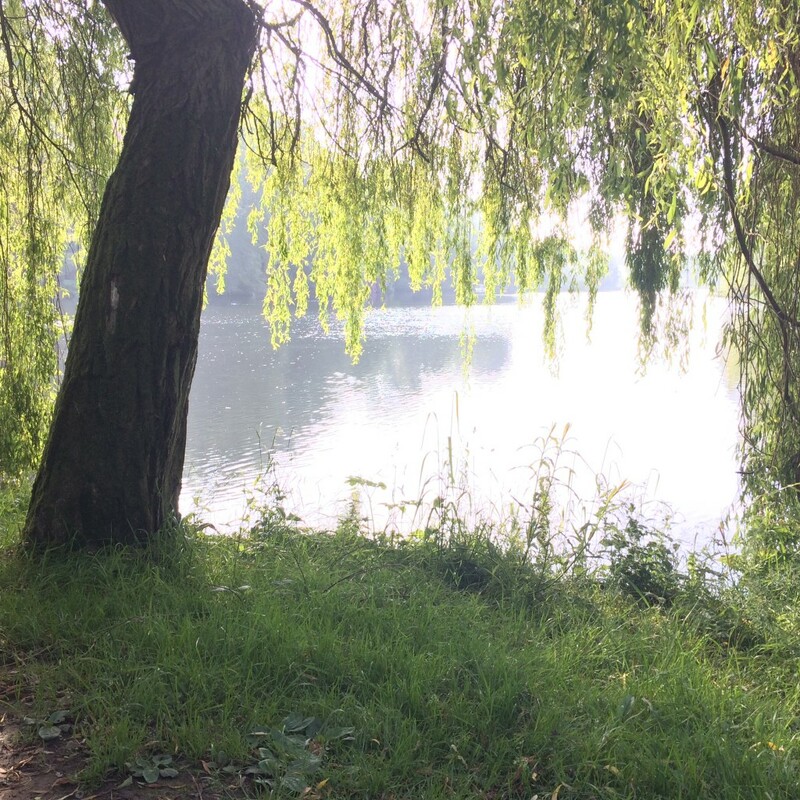 The open glades, which offer views across the lake from the lakeside walk, are especially attractive in springtime when thousands of daffodils are in flower. These woodlands are also home to Harewood’s collection of rhododendrons. 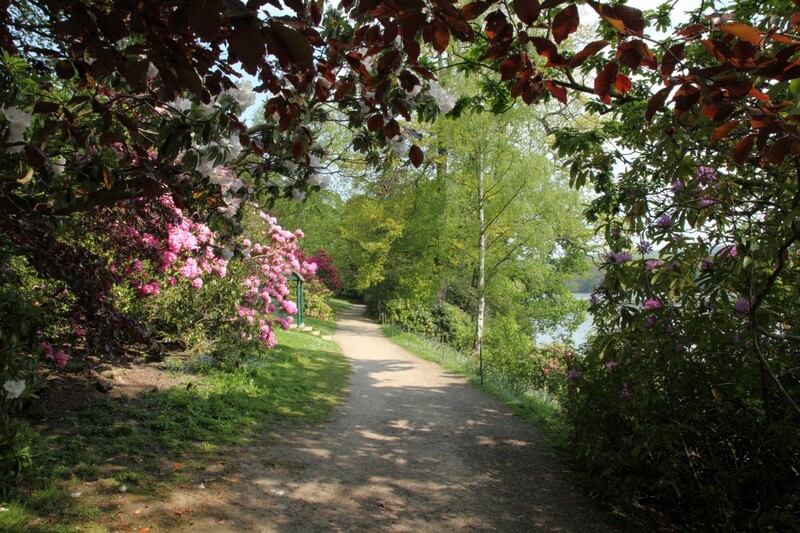 There are over a hundred different rhododendrons to be found growing beneath the trees and along the margins of the lake. These provide colour from April through to late June. Some specimens are survivors from the original collection, which was started by the 6th Earl in the 1930s. The growing of rhododendrons is something of a tradition at Harewood and each successive generation of the Family has contributed to the collection. In the 1960s and 70s the 7th Earl’s interest in hybrids led to many colourful additions. Recent planting in the Himalayan Garden has extended the collection with species from China and the Himalaya. The Lakeside Gardens are particularly beautiful in autumn when the changing leaf colours can be seen reflected in the lake. Paths lead to the Himalayan Garden and the Walled Garden over a wooden bridge which offers spectacular views of the cascade of water flowing from the lake into the beck below.